Dave Grossman, chief creative officer at Earplay, says his wife is early-to-bed and early-to-rise. That’s not surprising when you have to keep up with an active two-year-old. After everyone else is off to bed, Grossman stays up to clean the kitchen and put the house in order. Such chores require your eyes and hands, they don’t engage the mind. He first turned to audio books and Podcasts to fill the void. Today, though, he’s found the voice interactivity of Alexa is a perfect fit. That’s also why he’s excited to be part of Earplay. With the new Earplay Alexa skill, you can enjoy Grossman’s latest masterpieces: Earplays. 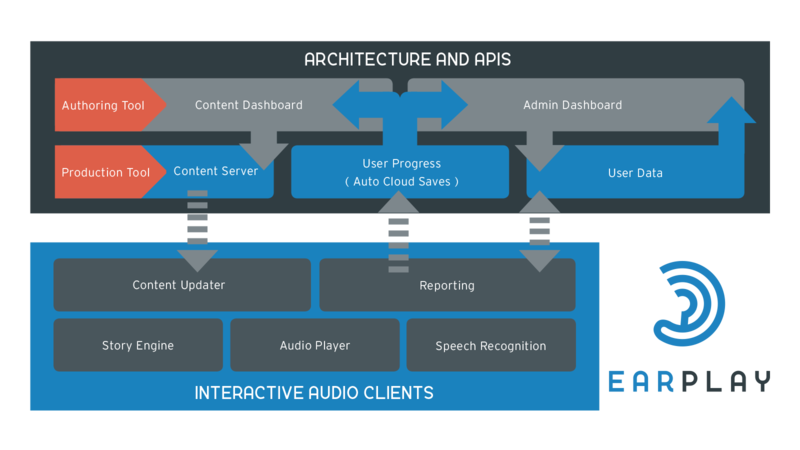 Earplays are interactive audio stories you interact with your voice. And they all feature voice acting and sound effects like those in an old-time radio drama. Jonathon Myers, today Earplay’s CEO, co-founded Reactive Studio in 2013 with CTO Bruno Batarelo. The company pioneered the first interactive radio drama, complete with full cast recording, sound effects and music. Myers started prototyping in a rather non-digital way. Armed with a bunch of plot options on note cards, he asked testers to respond to his prompts by voice. Myers played out scenes like a small, intimate live theater, rearranging the note cards per the users’ responses. When it was time to design the code, Myers says he’d already worked out many of the pitfalls inherent to branching story plots. They took a digital prototype (dubbed Cygnus) to the 2013 Game Developers Conference in San Francisco. Attendees of the conference gave the idea a hearty thumbs-up, and the real work began, which led to a successful Kickstarter campaign and a subsequent release while showcasing at 2013 PAX Prime in Seattle. Grossman later joined the team as head story creator, after a decade at Telltale Games. Grossman had designed interactive story experiences for years, including the enduring classic The Secret of Monkey Island at Lucas Arts. Most gamers credit him with creating the first video game to feature voice acting. Together they re-branded the company as Earplay in 2015. 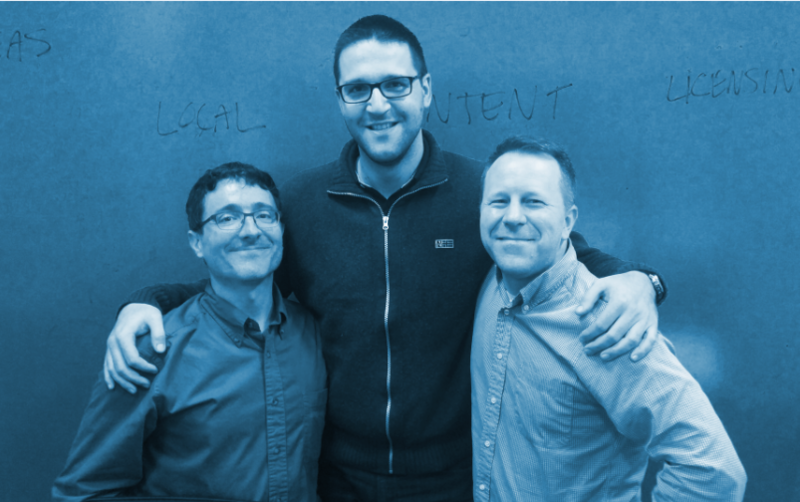 “We were working in a brand new medium, interactive audio entertainment. We called our product Earplay, because you're playing out stories with your voice,” Myers says. The team first produced stories—including Codename Cygnus—as separate standalone iOS and Android apps. They then decided to build a new singular user experience. That lets users access all their stories— past, present and future—within a single app. When Alexa came along, she changed everything. Though not a developer, Myers started tinkering with Alexa using the Java SDK. He dug into online documentation and examples and created a working prototype over a single weekend. The skill had just a few audio prompts and responses from existing Earplay content, but it worked. He credits the rapid development, testing and deployment to the Alexa Skills Kit (ASK) and AWS Lambda. Over several weeks, Myers developed the Earplay menu system to suit the Alexa voice-control experience. By then, the code had diverged quite a bit from what they used on other services. “When I showed it to Bruno, it was like ‘Oh Lord, this looks ugly!’” As CTO, Bruno Batarelo is in charge of Earplay’s platform architecture. An intense six-week period followed. Batarelo helped Myers port the Earplay mechanics and data structures so the new skill could handle the Earplay demo stories. On August 26, they launched Earplay, version 1.0. 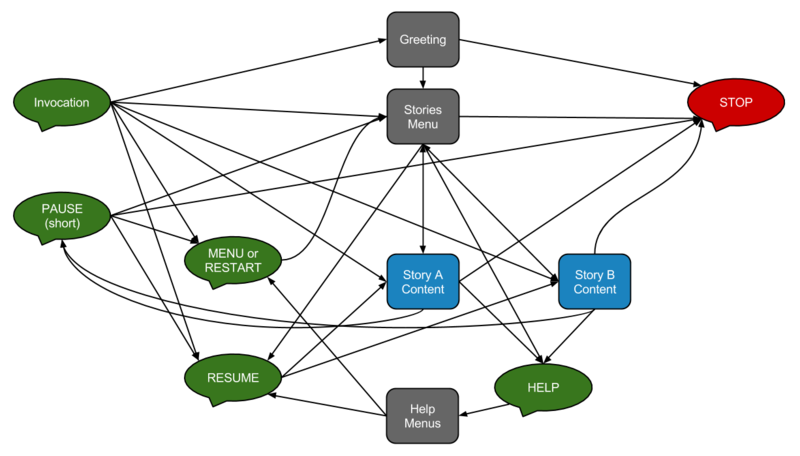 Earplay's goal is to make tools to let authors focus their creativity on story production—not writing code. To do that, Batarelo says they’ve built a content publishing system to publish titles to various mobile channels. His immediate goal is to hook the Earplay skill into the same platform, making it 100 percent data-driven. Earplay plans to release a new version soon, opening up even more stories to Alexa users. Myers feels audio entertainment is on the rise. People are learning to enjoy audio content on its own again, without the video. Just by listening, they make a strong emotional connection. By adding interactivity, the experience feels even more natural. Maybe that’s why old radio dramas were so popular. Listeners loved being able to imagine the story details in their minds. Now, Alexa lets them be an actual part of how that story unfolds. Alexa, tell Earplay to start the next chapter.